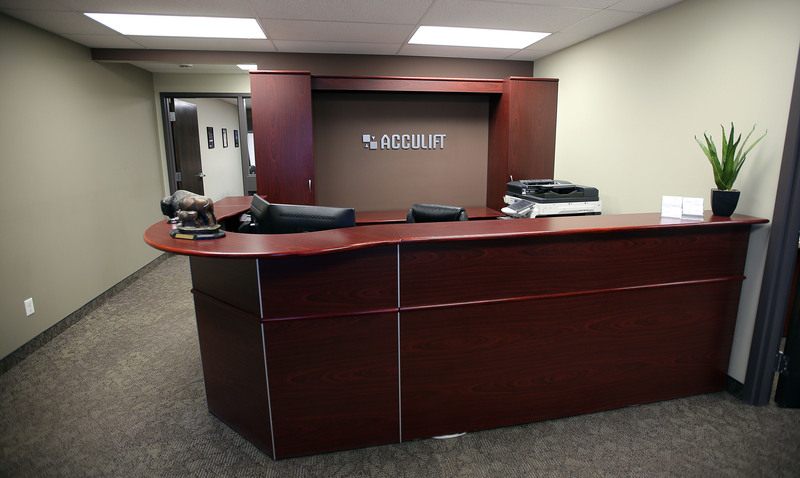 Acculift and Accudraulics are both family owned companies both operating under the same roof. 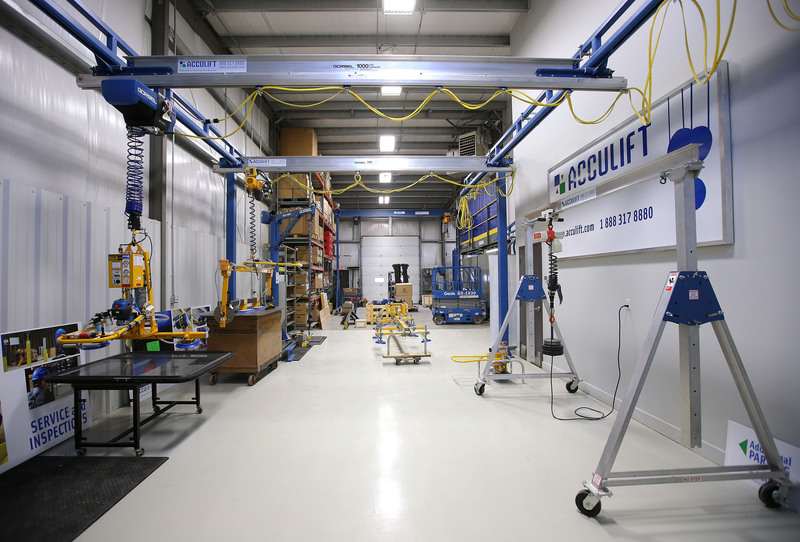 Acculift is a provider of industrial lifting, clean air systems and workplace safety systems. Where Accudraulics is your dedicated source for hydraulic equipment and servicing. 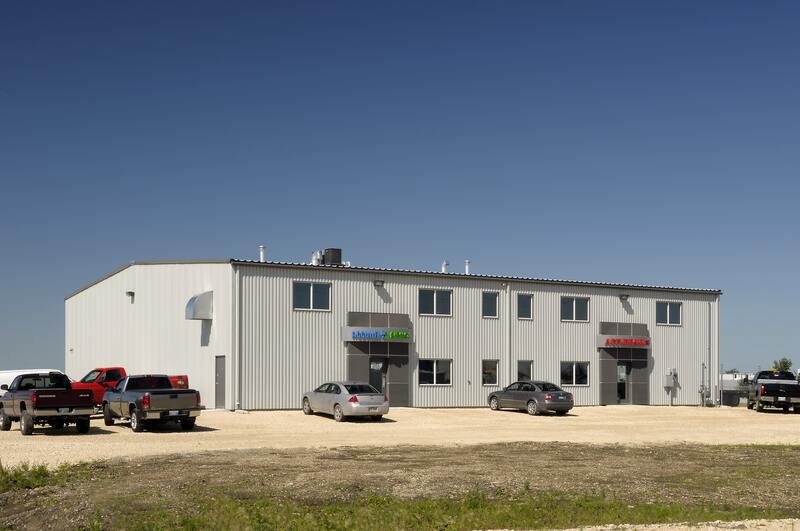 Dual purpose is the primary focus and functionality of this building in order to support both companies. 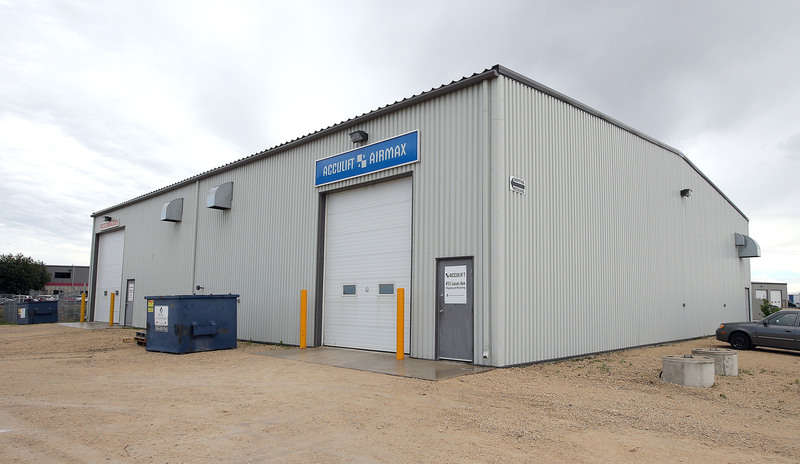 The large warehouse and office area affords the perfect space for designing ergonomic lifting systems, while the other side of the building allows warehouse and office space for designing clean air systems. Beautiful curved steel accents above the exterior doors, as well as large charcoal stucco panels with reveals, emphasize and separate business identities.